Step 1, find out you’re pregnant. Step 2, run to the nearest drugstore for prenatal vitamins. Step 3, schedule your first OBGYN appointment. It’s become almost ingrained in us that prenatal vitamins are one of THE most important things when it comes to having a healthy pregnancy. As far as most people are concerned the sooner, the better. In fact, most doctors will tell you that if you’re thinking of trying to conceive in the next six months to start taking a prenatal vitamin in advance. Why? They want to increase your levels of folic acid to help prevent any neural tube or spinal defects in your growing baby. Folic acid is the synthetic version of folate (also called B9). Folic acid is manufactured into fortified foods and supplements. Folate is the natural form of B9 found in many foods such as asparagus, Brussels sprouts, egg yolks, and leafy greens to name a few. For years studies had doctors urging MORE MORE MORE when it came to folic acid. And that makes sense—of course, we want to protect the baby in utero as much as possible. But what if we’re not doing it right? The problem is that we actually need ACTIVE FOLATE in our bodies—not folic acid. And while in theory the folic acid in prenatal vitamins will be turned into folate in our bodies, for roughly 40 to 60% of the female population, it may not work exactly as planned. Ever since the Human Genome Project released its findings in 2003, there’s been a lot of attention focused on MTHFR. If you think that’s hard to say, then give this a shot: Methylenetetrahydrofolate Reductase. MTHFR is starting to roll off the tongue, isn’t it? MTHFR is the gene that codes for an enzyme in our bodies that helps turn folic acid into folate. 25% of us have two gene variations (SNPs) on MTHFR (C677T and/or 1298C). 60% of people have one gene variation. And with these SNPs, the ability to turn folic acid into folate decreases up to 68%. You can read all about MTHFR in great detail on a previous post I wrote, here! As it pertains to fertility and pregnancy however, when the MTHFR enzyme malfunctions, folic acid does not turn into folate as intended, causing an imbalance or deficiency that can be quite serious. As previously mentioned, folate is responsible for helping to prevent serious birth defects. It also helps protect and repair our DNA while supporting healthy cell division—creating new cells, essential while pregnant. That said, in regards to pregnancy, when folic acid cannot be turned into folate, there are increased chances of preeclampsia and miscarriages, as well. Fertility issues also arise for men who have MTHFR mutations. In addition to these symptoms, the MTHFR mutation also makes it difficult for your body to absorb and use all B vitamins (something called “methylation”). Our ability to use B vitamins is already affected by common exposures to stress, environmental toxins, inflammation, and dietary preferences. Having the MTHFR mutation only compounds that inability to use these much-needed vitamins and affects everything from your mood to sleep to energy levels. Unfortunately, even after my 20+ years as a naturopathic doctor and midwife, I am disappointed in the progress. Many gynecologist, obstetricians and fertility specialists still do not have a standard protocol for addressing this issue. Therefore, they typically do not test for it unless specifically asked for or if there have been recurrent miscarriages, family history or a child born already with MTHFR-related birth defects. The common treatment is just to increase the folic acid, or worse, to prescribe VERY high doses of folate, and call it a day. Except that wouldn’t help—at all. Or could make you feel worse. Instead, the first thing you should do if you suspect a MTHFR mutation is to have a DNA test. I suggest using Ancestry.com which I then analyze with specialized software. In addition (and this is really important), I recommend checking a blood test called homocysteine (which can be done at a regular lab, but most practitioners don’t check it). This essentially helps us to measure how well your body is using folate and other B vitamins. Then according to your results, we can determine your best dose of folate. We may actually need to address other issues before being able to optimize the folate in your body. To give you a sense of what’s involved…on average, your homocysteine level should register at about 7. 7 or higher could mean you need to take more folate, methyl-B12 and vitamin B6. Higher homocysteine levels are also a sign that your stress levels are high, including from inflammation and/or toxin exposure. If your number is a 3 or 4 then we know your ability to use B vitamins is decreased, and we need to support the methylation system with precursor nutrients. At the end of the day, you could be taking the best prenatal vitamin on the market (or from the pharmacy)… for nothing. If your body isn’t responding to it, then you won’t reap its benefits. That’s why I only suggest—and yes, sell—supplements and vitamins that have REAL folate (referred to as “methyl-folate” or 5-MTHF). This way, if you haven’t already been diagnosed with a mutation but do have one, your body doesn’t have to turn folic acid into folate for you. You can find out more about the products I recommend for pregnancy here. You can also find out how to work with me one-on-one so you have help optimizing your methylation by checking out my MTHFR and Genetic Solutions Consultation Package. If you know or suspect that you have MTHFR SNPs and you’d like to start getting the answers you need now, you can get a one hour masterclass I taught here. 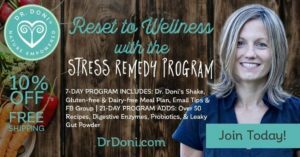 And if you like to read, I cover my three phase approach to optimizing methylation in my bestselling book, Stress Warrior, which I’m happy for you to read for free online at StressWarriorBook.com. Remember, the solution IS NOT to increases dosages of folate (or folic acid) without first seeing how your body is using it. From there we can map out a personalized approach to getting your body back to balanced.